"Brahm's Lullaby" was originally written in German as "Wiegenlied: Guten Abend, gute Nacht". It was translated to English centuries ago. 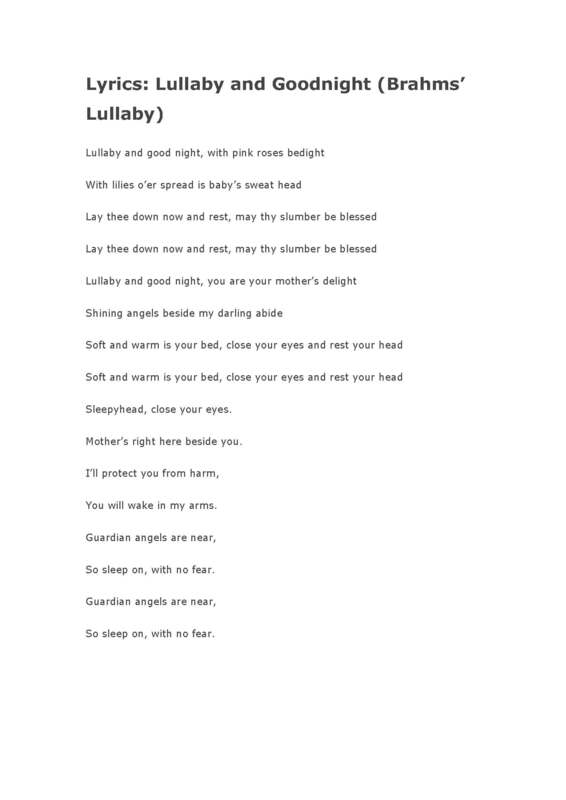 However, there are many versions of this lullaby nowadays and the lyrics differ accordingly. Below is the video that shows the most soothing and popular English version of Brahm’s Lullaby. You can also find Lullaby and Goodnight lyrics at the end for you reference, so that you can sing your little one to sleep.